The Mad Doctor, now reformed from his villainous ways, asks Oswald the Rabbit to help him rid their world of the new evil that has manifested. Together, they can redeem themselves from the mischief they caused in the previous title and, in turn, become local heroes. What is noticeably different from Epic Mickey 1 is through the new storytelling aspects found in classic Disney movies; a perfect blend of charming, cartoon antics, incorporated into musical numbers. We almost feel like popping in an old Disney VHS cassette tape after watching it. 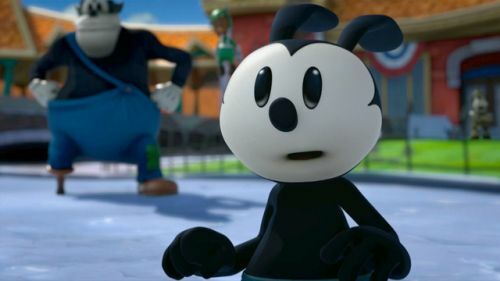 If Disney titles really aren’t your thing, don’t be too quick to take Epic Mickey 2 as an "only for kids" game. The cut-scenes alone look worthy enough for at least one run-through of the title during the holiday season. Epic Mickey 2: The Power of Two will be available on the Wii come November 18th of this year.